As you've probably figured out by now, I LOVE to shop. Makeup shopping is probably one of my favorite types of shopping to do! I often get asked about my makeup routine so I thought I'd share some of my top picks that I use the most. Hourglass Vanish Stick: I swear every time I wear this, people compliment my skin (my skin is nowhere near perfect) and ask me what I use. It gives me a very even finish and can give me as light or heavy coverage as I want depending on how much I use. I just draw a few stripes on my face with it and blend it in with a blending brush. I wear the color Sand. 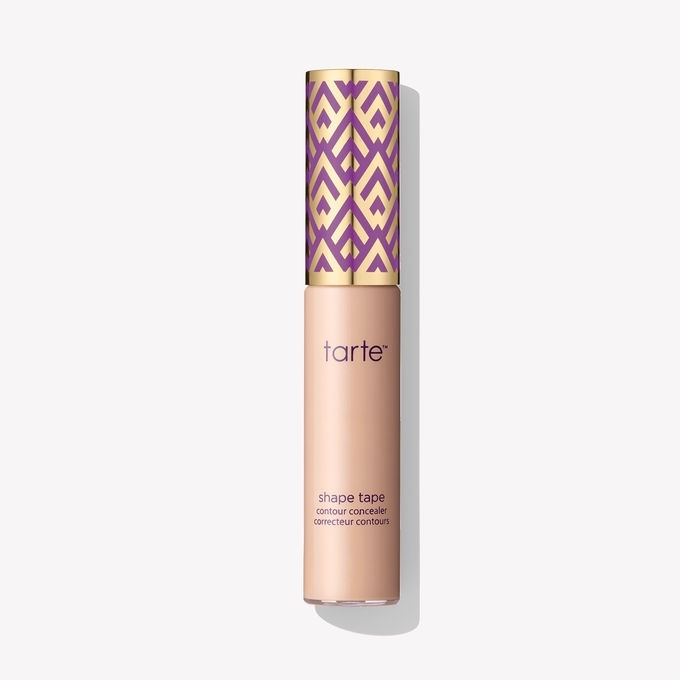 Tarte Shape Tape Concealer: If you don't have this already, you NEED it. If you already use it, you know why I say that! It gives me an airbrushed look under my eyes and covers those pesky dark circles that I can't seem to get rid of. I use the color medium. A little goes a LONG way with this concealer so don't overdo it! Laura Gellar INKcredible Gel Eyeliner: I love the look of tight lining my eyes and it works great for me for an everyday look with a neutral eye shadow (my fav neutral is HERE for an all over lid color) and mascara to finish it off. I use the color blackbird. Laura Mercier Matte Radiance Baked Powder Compact: I've tried just about every bronzer at Sephora and the one I always go back to is this one. It's the perfect amount of color for me and it seems to last well throughout the day and stays in place. I use the color Bronze-04. MAC Cremesheen + Pearl Lipstick: This is my go to everyday lip color when I want something that isn't too bright but still looks like I'm wearing lipstick! I wear the color Coral Bliss. I could go on and on about the other products I love (I'm a makeup junkie!!) but if I had to narrow it down, these would definitely be my top 5 picks. As always, if you have any questions, I'd love to hear from you!